Create your own head-turning Mima Xari pram, with Mix & Match! The all new fully customisable 2016 Mima Xari is one of the slickest prams to land on our shores, and since it arrived in Australia five years ago it has continued to turn heads. And why wouldn’t it? This swoon-worthy, single pram’s Hollywood exterior screams supreme form, while the workhorse interior is all about function. And now, you can truly make this pram your own, by customising it. Have you ever seen such a sleek way to transport a bub? The Mima Xari is the complete stylish package, a compact single pram that’s designed to grow with your child, and maintain a fashionable edge that never goes out of style. And speaking of style, it tends to vary from person to person – so it stands to reason that one pram won’t suit everyone’s fashion taste. So now you can Mix & Match your Mima Xari – starting with choosing a frame colour. This pram is so perfectly on par with current trends, there’s even a rose gold option, if you please! 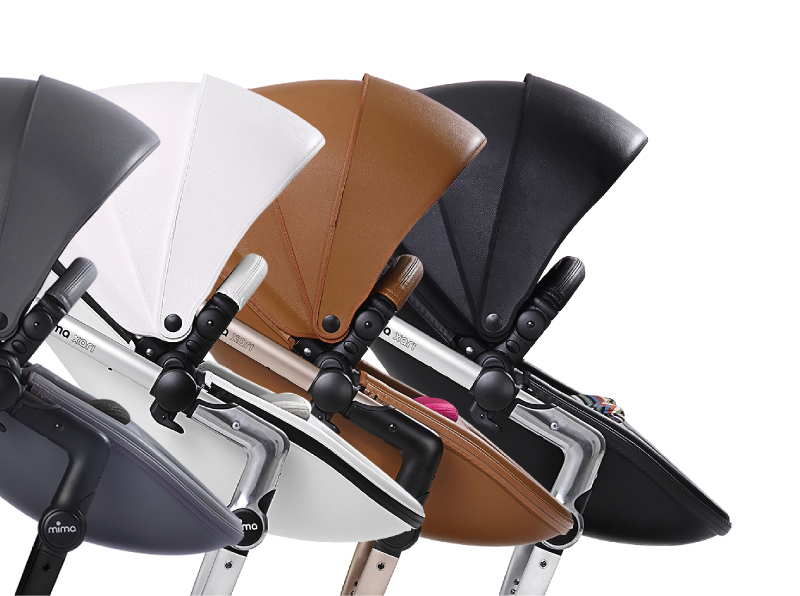 Next you can select the colour of the seat, from cool grey, to camel, white, and the always perfect black. Finally, it’s time for the textiles. 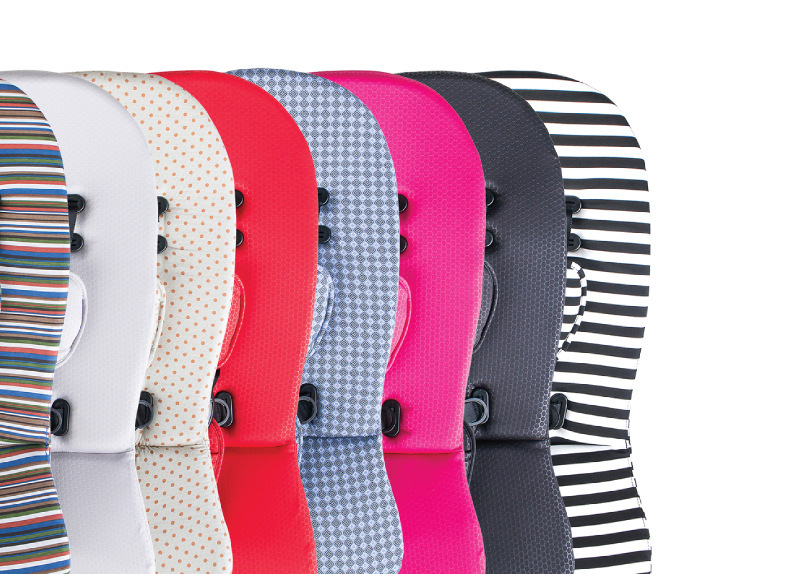 The starter pack includes a seat pad, bassinet mattress and bassinet apron flap, and they come in 11 colours. But the Mima Xari is so much more than just a beautiful face – it’s backed up by supremely intelligent design. The clever lie-flat bassinet can be used from birth, and can be zipped in and out of the main seat. No need for changing seats or adaptors, everything is integrated. This stunning pram gives a smooth ride, and the comfort factor truly matches its divine exterior. 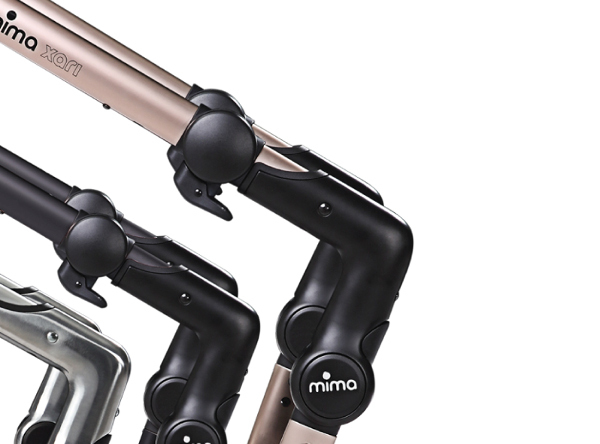 The Mima Xari has been engineered to keep your baby safe and happy. Bubs Baby Shop – Fortitude Valley, Helensvale, Noosa and Aspley, Queensland. For information and more details on the Mima Xari, visit Mima Kids or contact them directly.